Trinity City, Adelaide, South Australia. Information, Photos and Reviews. 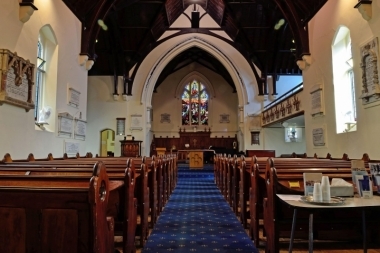 Trinity City (also known as Holy Trinity Church Adelaide) is Adelaide’s first church. 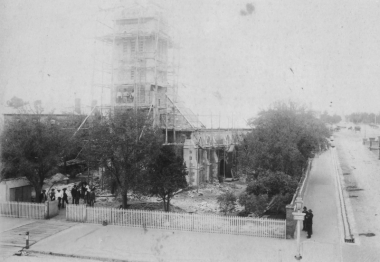 The foundation stone of the building was laid by South Australia’s first governor in 1838. 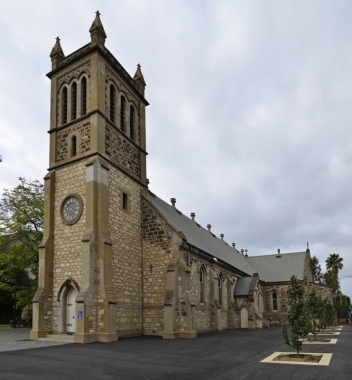 Today, Trinity City is the largest Anglican church in South Australia, with hundreds of people gathering every weekend. Visitors are welcome to attend any of the church gatherings: Sundays at 9am, 10:30am, 5pm and 7pm. The church building is also open for viewing on Mondays to Fridays, 10am to 2pm. Please contact Trinity City if you would like to view the building outside of these hours. Guided tours are available at various times throughout the year, for example, during South Australia’s History Festival. They can also be organised on request for school groups, tourists or other interested parties. Nobody has reviewed Trinity City yet, Be the first. You are submitting a booking enquiry. Trinity City will then contact you by email with details of availability and prices.